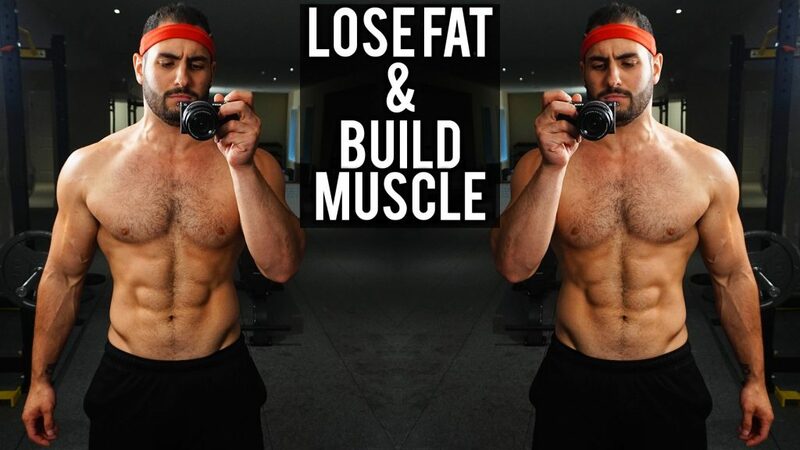 Muscle Building Diet Plan: How To Get The Best Results Fast ? Can bulk steroids produce a better result? If you plan to build muscle, lose fat and stay healthy, then you are going to make some drastic changes to your muscle building diet plan. This means that there is a specific diet plan you must follow to avoid adding more fats and bulk at the same time. Many beginners progress with strength training alone and forget about the diet part, which makes it difficult to achieve their muscle building goals. Strength training is one of the best things you can perform for longevity and energy. But if you are not providing your body with the right fuel, your progress is going to be slow and frustrating. First, have in mind that you must eat every 3 – 4 hours interval to provide adequate fuel for your metabolism so that you can achieve your targeted result. 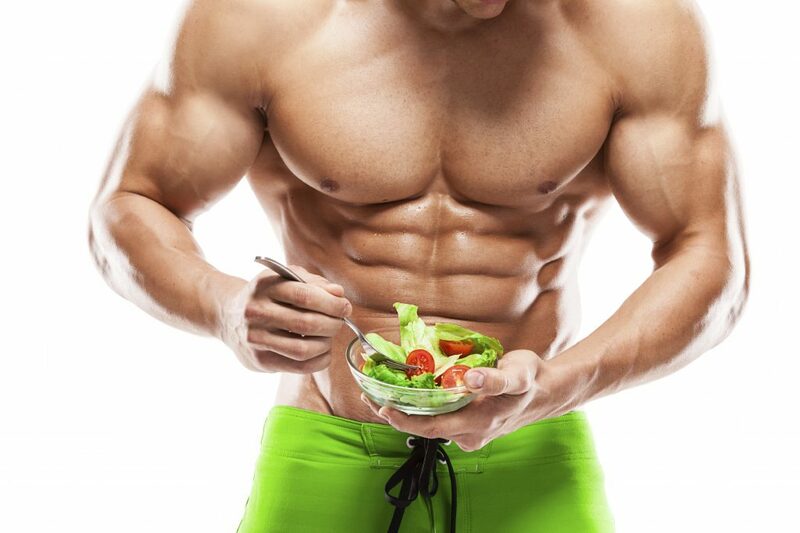 Here is what you need to know about dieting for muscle building and more. Building muscles and maintaining or even reducing your current body fat is possible. All it takes is sticking to the right tips and plan. Your diet is going to be different from every other person. But besides diet and food in general, there are things that will guide you to make the right decision. So, if you are just hitting the gym for strength training and wondering how you could build muscle without gaining more fat, these tips should guide you even if you stick to your bulking meal plan. Calories are essential in your muscle building plans. You will need to consume more calories than you burn on a daily basis if you want to increase your weight. But if you consume calories in excess, you might start storing fat at the end of the day. So take caution when consuming calories. So, what do you need to understand about calorie needs? It is simple consume enough calories that can help you promote muscle gain. But keep it to a reasonable level where it won’t lead to fat gain at the end. How can you curtail calorie intake? It is also simple what you need to do is control your portion sizes during mealtime. In most of your meals, your target should be 40 to 60 gram for protein, as well as 40 to 80 gram for carbs, but this can change as a result of your body size. For instance, if you weight something like 225 pounds, you can go for the 60-gram protein and 80-grams carbohydrate. If you are looking to build muscle mass, then time is one of the things you should never toy with. Proper timing can make it possible for you to remain lean while you are bulking up. In other words, your meals should be the type that can help to promote mass gain and also control the number of body fats you gain at the same time. Now back to timing, two periods of the day you should never joke with are your breakfast time and the period after training. The reasons being that your body at these two periods will need more calories as well as nutrients because the one you have in store might have reduced during night sleep and after a workout. Your already stressed muscles would need severe replenishment so that they can start their recovery journey as quickly as possible. So, in your meal plan to gain muscle, you should never toy with these two periods mentioned above. They can help to facilitate optimum growth, as well as ensure that your body fat remains at its lowest levels during the bulking period. So, here is the deal. We said consuming large meals during breakfast and after workouts is essential to your muscle building plan, and we are right about this. But you still have to eat something at other periods of the day. Share other meals you are going to have evenly into small portions. Now, here is the deal your meal plans for non-training days are going to change. You are not going to follow the same routine as days where you trained harder. You should also understand that rest period while building muscles is very crucial. Your muscles are going to use the time off to grow and prepare for your next training. Don’t consume the same amount of carb you eat during your non-training days. 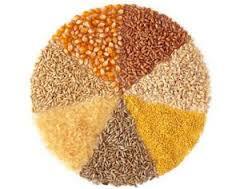 Remember you are not active, so your body won’t place much demand for carbohydrates. So, if you still maintain the same amount of carb consumption on on-training days, guess what; you are going to start developing unwanted fats around your midsection and lower back area, which isn’t your targeted goal. Your diet should always provide the required amount of carbs and protein for muscle building, and for maintaining healthy body weight. You can eat at least six times on a daily basis so that your body can have those crucial nutrients and amino acids it needs to drive muscle growth. Have enough carbs. It should be 2.5grams per your body weight, in pounds. Your carb intake after training should be 177grams. Note: You will receive most of the carbs you need during the early periods of the day. For instance, you can get at least 100grams during breakfast. Your meals for the latter part of the day should be mostly protein to provide your body with enough amino acids and ensure your body isn’t overshadowed by carbs which it doesn’t need during the later part of the day. And avoiding carb for the latter part of the day can help prevent fat gain because insulin sensitivity is usually lower at this time of the day. Protein intake should be 2 grams of your body weight in pounds. No muscle building diet plan can be successful without exercise. You must support it with strength training to achieve the maximum result. Nutrition is also very important when you are looking to build muscles and not fat. If you don’t eat the right foods at the right time, you may end up gaining muscles and fat at the same time, which of course, isn’t the ideal plan. So to make things easier, here are everyday foods you can incorporate in your weightlifting meal plans to build lean muscles. Protein is essential for any individual looking to build lean muscles. And eggs have a huge amount of protein in them. 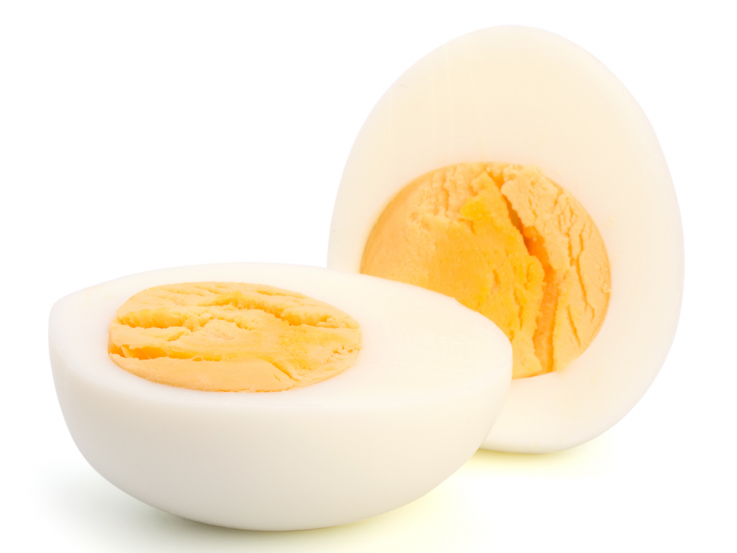 Eggs can also provide the body with healthy fats, B vitamins, choline and more. Proteins are composed of several amino acids that are used for muscle building. 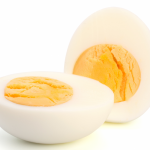 And eggs also have a huge amount of leucine, an amino acid that promotes muscle gain. Dairy products, especially the Greek yogurt has a high protein content, including whey and casein protein that is both fast digesting and slow-digesting, respectively. Studies have also demonstrated that consuming dairy proteins that are quick and slow to digest can increase one’s chances of building lean mass. 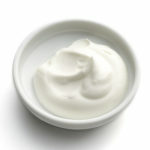 Greek yogurt has double the protein other regular yogurt has. And consuming it before or after your workout will benefit your muscle building diet plan an entire process. 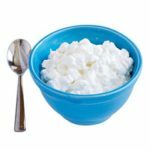 Cheese is usually on the “no” list, but cottage cheese is a breed apart. Its strength is in its casein protein content and a low quantity of fats. Casein is a type of protein that’s slow to digest, so it provides nutrition to muscles for a long period of time. Besides, it’s a good source of calcium, too. Plus, you can eat it right before bedtime. 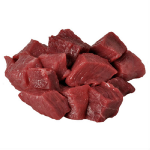 Beef is one of the high protein foods you can incorporate into your muscle building diet plan. It also contains minerals, B vitamins, and creatine. Studies have shown that consuming red meat can promote or increase one’s lean muscle gains when combined with weight training. But it is best always good to make choices that will support muscle gain and not provide excess calories. 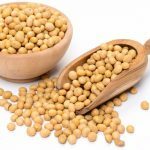 Soybeans are also one of the foods that would match any muscle building diet plan and cause you to gain lean muscle mass when combined with weight training. 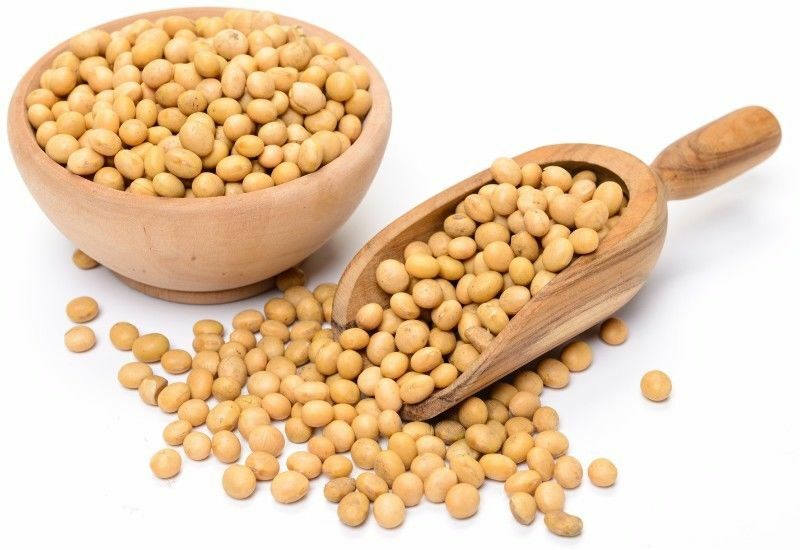 When cooked, 86g of soybeans provides 14g of protein, minerals, vitamins and unsaturated fats that are healthy. Iron an important mineral that stores and moves oxygen in muscles and blood can also be gotten from soybean. Others are vitamin K and phosphorus. 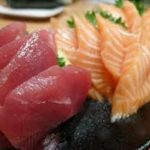 You’ll always hear bodybuilders talk about the benefits of eating tuna and salmon. Even the fats in these are good for you, considering that fat is essential to hormone production, including testosterone (which has a major role in boosting muscle gains). The Omega-3 and Omega-6 fatty acids in fish will also support your fitness goals. Peanuts contain both carbs and protein in great amount. In fact, they are also a good source of leucine, an important amino acid in lean muscle building. 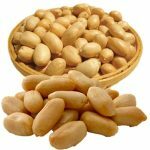 One other thing that makes peanuts a great fit for any muscle building diet plan is their calorific value. A half cup of peanut is said to contain about 425 calories. So, when you need calories to boost muscle gain, you can consume peanuts to replenish it. As earlier established, carb is an important part of any muscle building diet plan, but timing is most important in your carb intake. 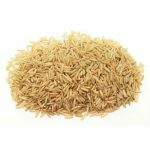 You can get 5g of protein from each cup of brown rice (cooked), but the bottom line is that it can provide enough carbs needed to boost your weight training process. You can eat brown rice for breakfast before your workout, as it would cause you to work harder by boosting energy, which will eventually lead to muscle gain. 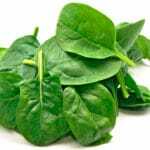 This has never been a joke – although it’s so light and green, spinach is a great glutamine source and there’s enough proof of how important this amino acid is to building muscle mass and strength. To consume enough spinach, simply blend it in smoothies. 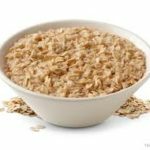 With a low glycemic index and a lot of carbohydrates, oatmeal keep you full for long and gives you a steady amount of energy for many hours without blood sugar spikes. It’s also got a high fiber content and gives you plenty of energy while preserving muscle. Combine oatmeal with nuts or nut butters to meet your macronutrient needs. 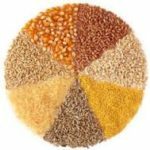 Often employed in weight loss diets, whole grains are excellent for building and maintaining muscles too, because besides protein, muscle tissue also needs plenty of minerals and vitamins, which you will find in the outer layers of grains. Your training day diet plan kicks off from 8 a.m. before the workout. You can eat six times a day, and that we will share in the plan. So, let’s look at what a typical training day workout for someone looking to build muscle mass, should look like. 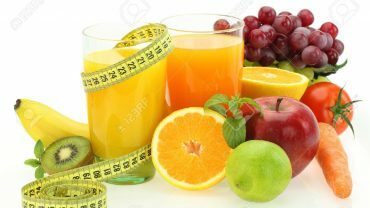 Qty of orange juice – 8 oz. Note: You will have a total of 669 calories from this muscle building meal plan. Others are carbs and fats, 93 grams and 7 grams respectively. Qty of chicken breast – 8 oz. Qty of Potato – A small or medium size will do. Note: You will get a total of 409 calories from this diet. Others you will gain are 37 grams of carbs, while protein and fat are 37 grams and 3 grams respectively. Note: On such diet for building muscle, you will gain 450 calories and 2 grams of fat. Others are 58 grams of carbs and 48 grams of protein. Turkey breast – 8 0z. Note: Turkey breast (85 g serving) contains about 25 g of protein. And on this clear bulk meal plan, you will get a total of 1,096 calories, 177grams of carbs, 78 grams and 4 grams of protein and fat, respectively. Qty of ground beef – 8 oz. Qty of fruit – A piece will do. Note: In total, you will end up getting 593 calories, 57 grams of carbs, 59 grams of protein and 13 grams of fat from this meal plan. Note: You will get a total of 170 calories from this meal which is not a bad idea. Others include 2 grams of carbs (remember this period is marked as an inactivity period, so reducing carb intake is ideal). Also fat is 0 gram while protein is 40 grams. So what is the total for the whole day? This muscle building diet plan starts at 8 a.m. and ends at 9 p.m. In this period, what you will consume will be 3,387 grams of calories, 424 grams of carbohydrates, 339 grams of protein and 29 grams of fat. There are legal steroids that can help to build muscles fast. But the major issue is choosing the right one that will help you achieve the best results. Without much ado, here are the best bulk legal steroids that are not only highly effective but works faster. You can gain muscle mass when you combine good nutrition with regular workout. But have in mind that consistency is the key to achieving the result you seek. As earlier said, timing is very critical in this diet plan. And, if you don’t stick to the right diet or eat at the right time, it would be difficult to achieve the kind of result you seek. However, this diet plan can help you gain lean muscle mass without gaining fat. So, read through to kick-start your muscle building journey in the right way.